On first blush, this moment might appear like something of a reckoning on race for the Republican Party. A resolution to condemn white supremacy garnered unanimous GOP support in the House. It even got the vote of Rep. Steve King, R-Iowa, the man the resolution was designed to rebuke. 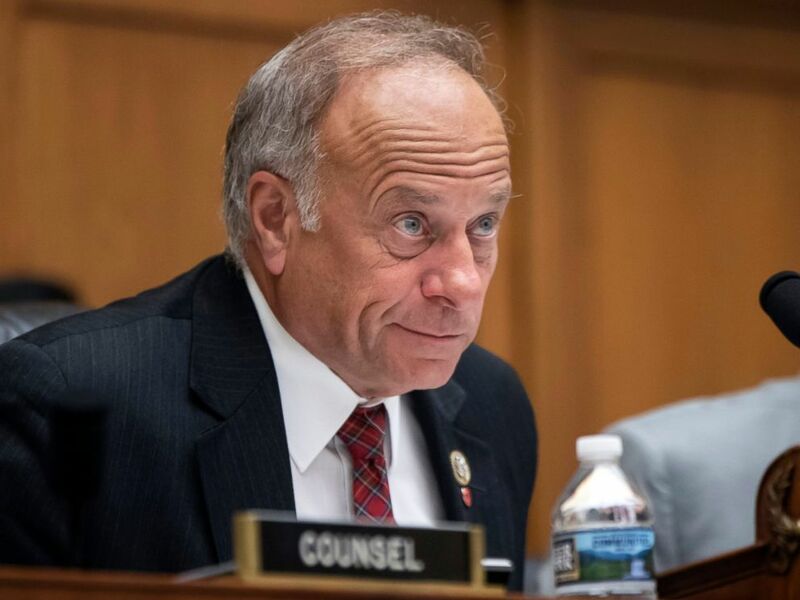 In this June 8, 2018, file photo, Rep. Steve King, R-Iowa, at a hearing on Capitol Hill in Washington. But President Donald Trump, who just days ago revived and enhanced his "Pocahontas" slur of a potential opponent -- remains as silent on King as most Republicans are about the president's own behavior. Democrats, meanwhile, are seeing new demographic and societal realities take hold in their emerging field of presidential contenders. The 2020 field is already smashing records for the number of female candidates and candidates of color. With Sen. Kirsten Gillibrand’s exploratory-committee announcement on Tuesday, three women and a Latino man are already at least at that phase of pursuing a candidacy. Sen. Kamala Harris, the daughter of a black man and an Indian-American woman, appears to be not far behind, along with Sen. Cory Booker, who's African-American. When the first Democratic debates take place in June, white men are likely to be the minority -- reflecting the realities of the nation and of the Democratic Party. 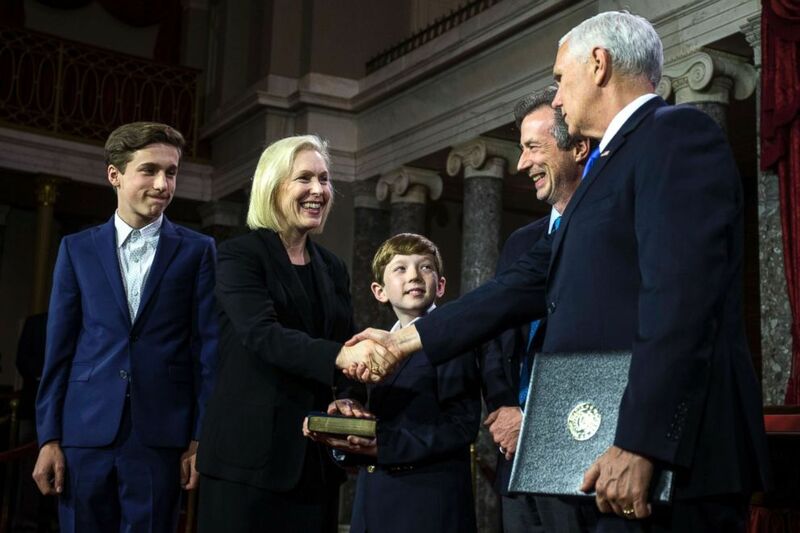 Sen. Kirsten Gillibrand participates in a mock swearing in ceremony with Vice President Mike Pence on Capitol Hill, Jan. 3, 2019, in Washington, DC. Martin Luther King, Jr. Day is lining up to be among the most consequential days on the primary calendar, with multiple high-profile speeches spread across several states. It's an appropriate time to start a campaign in earnest. Minority voters could be more important in determining the Democratic nominee than in any primary year to date, up to and including 2008. Trump's nominee for attorney general, William Barr, spent a lot of time Tuesday advocating for a wall or a barrier on the southern border. Of course, other topics dominated his confirmation hearings too, including questions about overseeing Robert Mueller's investigation, interpreting regulations and laws around obstruction and how a special counsel's recommendations may or may not be made public. But every time he tangled about a barrier on the border, he reminded audiences that the president is playing this partial shutdown stalemate on his turf, around a conversation he likes. Yes, Democrats might be motivated to resist the president's calls for a physical wall -- united in their belief that a wall is "immoral" or un-American -- and determined to not cave this time. But none of that changes the fact that the president and Republicans have a reason to keep talking about what they're fighting for. 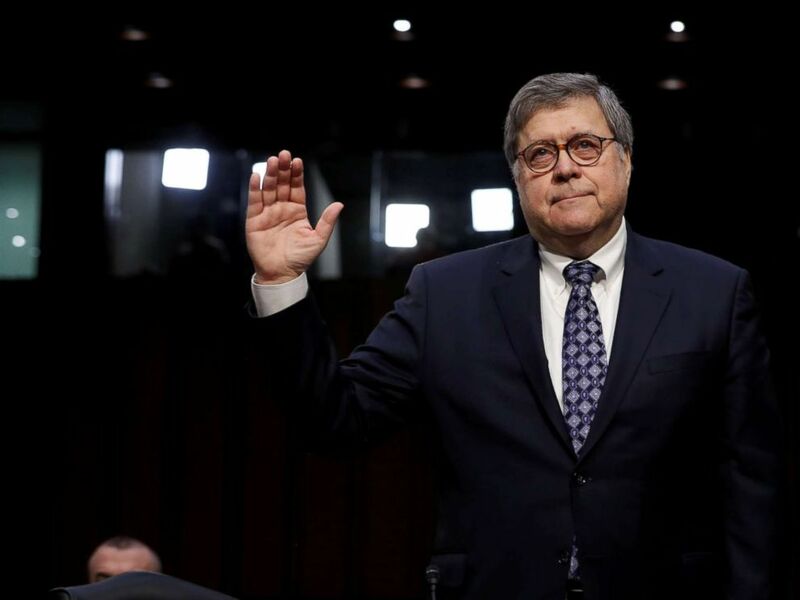 William Barr is sworn in to testify at the start of his U.S. Senate Judiciary Committee confirmation to be attorney general of the United States on Capitol Hill in Washington, Jan. 15, 2019. The House Financial Services committee is about to get some major rising-star power. A senior Democratic leadership aide confirmed that the House Democratic Steering committee recommended freshmen Reps. Alexandria Ocasio-Cortez, Rashida Tlaib, Katie Porter and presidential candidate Rep. Tulsi Gabbard join the panel. Bloomberg was the first to report the recommendations. The aide cautions that the placements are not set in stone, but it is "the likely outcome" as the committee finishes its recommendations for Financial Services this week. Additional members could be named, but these four are almost a certainty. President Trump meets with the bipartisan congressional Problem Solvers Caucus at 11:30 a.m. He has lunch with Secretary of State Mike Pompeo at 1 p.m., then participates in a signing ceremony for the “Government Employee Fair Treatment Act of 2019” at 2:15 p.m. The Senate Judiciary Committee will begin Day Two of hearings to consider the nomination of William Barr as attorney general at 9:30 a.m.
Vice President Mike Pence will deliver remarks at the State Department's Global Chiefs of Mission Conference at 10 a.m. The Senate Committee on Environment and Public Works will hold a hearing with Acting EPA Administrator Andrew Wheeler to consider his nomination to the post of EPA Administrator at 10 a.m.
New York City Mayor Bill De Blasio will be a guest on ABC's "The View" at 11 a.m.
Acting Attorney General Matthew Whitaker will deliver a speech at the Heritage Foundation on religious freedom at noon. The Note is a daily ABC News feature that highlights the day's top stories in politics. Please check back tomorrow for the latest.